The seven students in Lisa Yacomelli’s performing arts dance elective speak four different native languages – their small group representing a microcosm of The Hun School’s larger community. It is no surprise then, that the internationally diverse class enjoys a rich exchange of traditions and culture. Through independent research and personal experience, the dance students recently self-choreographed original compositions. They performed their original dances during the fall recital on Thursday, November 13th, sharing their art and culture with the broader community. Ms. Yacomelli explained, “By choreographing and performing an original dance, students demonstrated their ability to communicate in a visual language. This project mixed creativity with courage, as much as it blended appreciation with innovation. 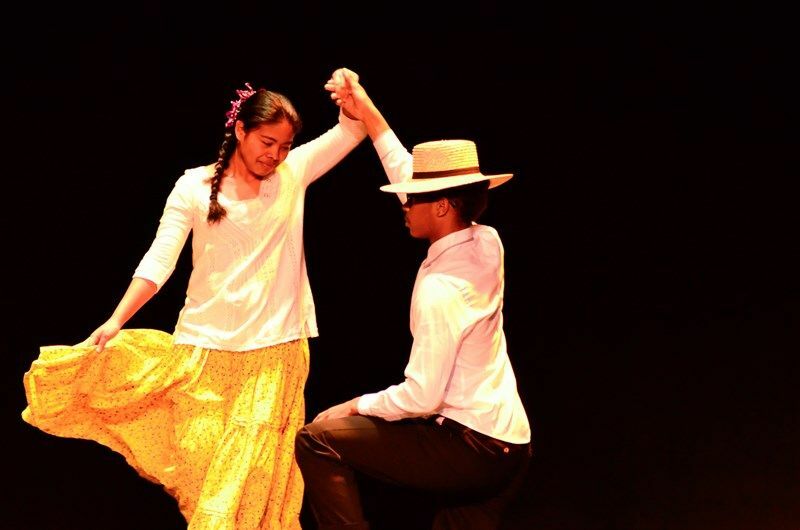 Hun School student Ilda Lorenzo ’15 choreographed and performed a traditional Panamanian dance with classmate Jorelle Montes ’15, as part of her research project in Lisa Yacomelli’s performing arts dance elective.